As well as turning Argent Dreaming [and eventually Nettleflower] into paperbacks via Createspace, I’m also working through my self-published gay romances written as Chris Quinton. Most of those are titles which have been returned to me following the collapse of Silver Publishing. 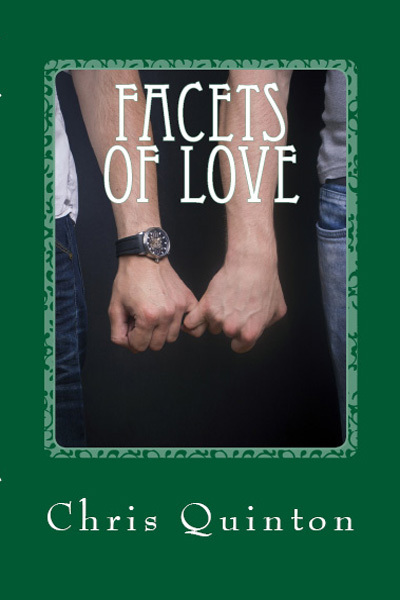 I’ve combined three short stories – Home And Heart, Falling Again and Never Too Late, into one anthology, titled Facets Of Love. Of course, I’m still feeling my way around the Createspace thing, so it won’t be done quickly. Since I’m somewhat technically challenged, I am really pleased my two titles published with Totally Bound are out as paperbacks as well as ebooks under their umbrella. That’s Caravaggio’s Angel, and Carlyle’s Crossing. 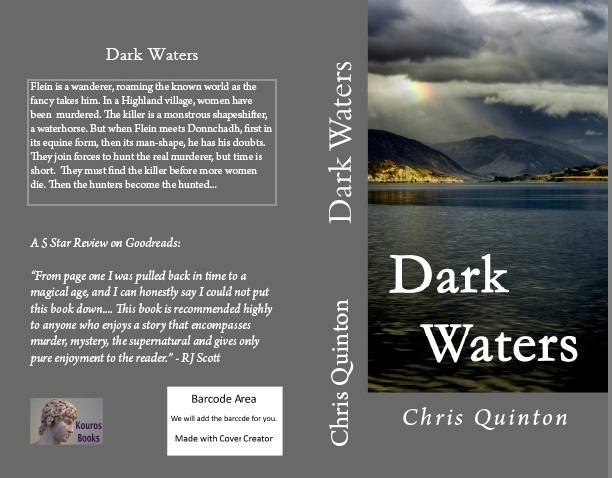 Dark Waters is also out in paperback, with different cover art from the ebook. This entry was posted in Cover, Paperback, Self-Publishing, Uncategorized and tagged Chris Quinton, Createspace, paperbacks, Writing. Bookmark the permalink.